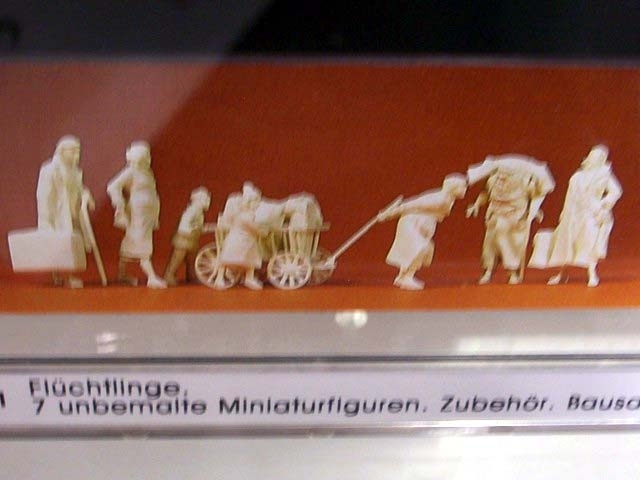 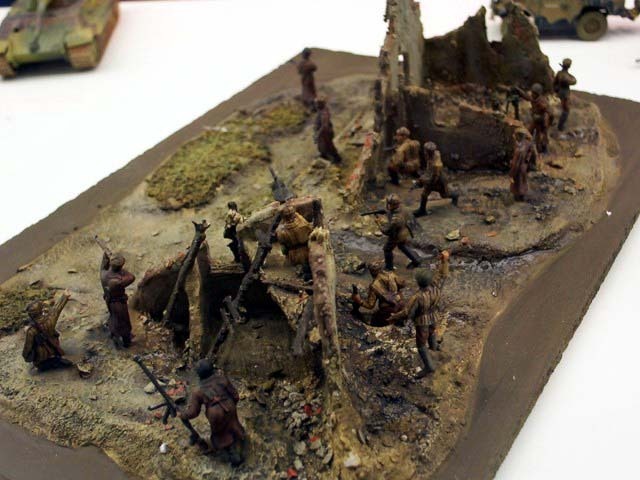 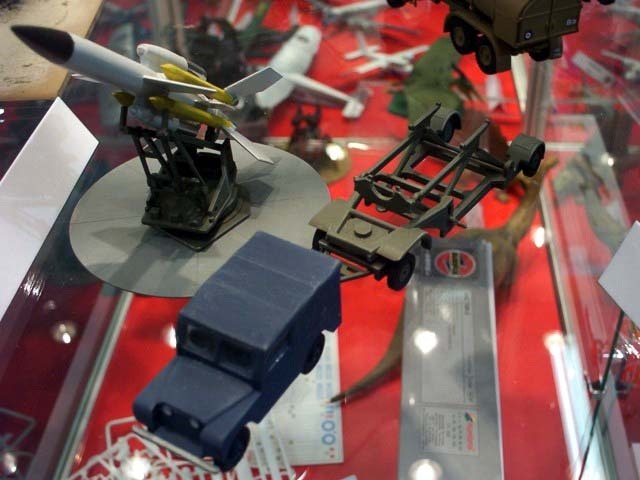 "in the modelling heaven again"
I have visited traditional Nuremberg toy fair again after one year. 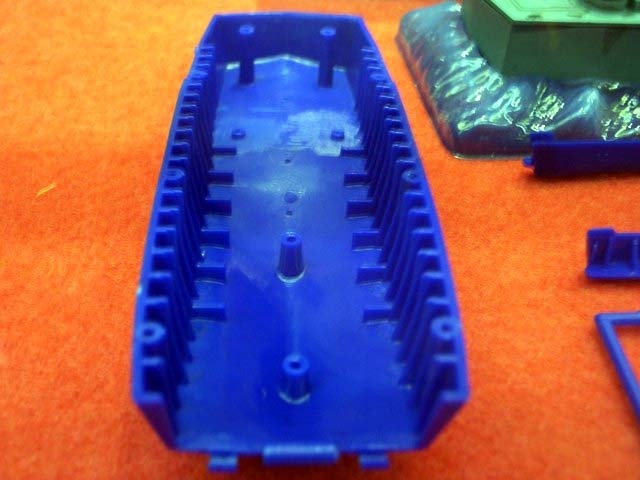 I have spied Braille scale news but also hunted suppliers for T&T for the first time. 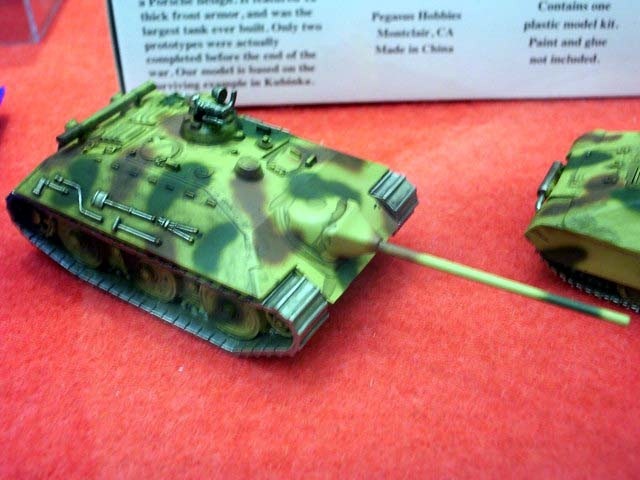 Most of new are known already so I will not offer you all catalogue lists but just some photos from fair with brief comments. 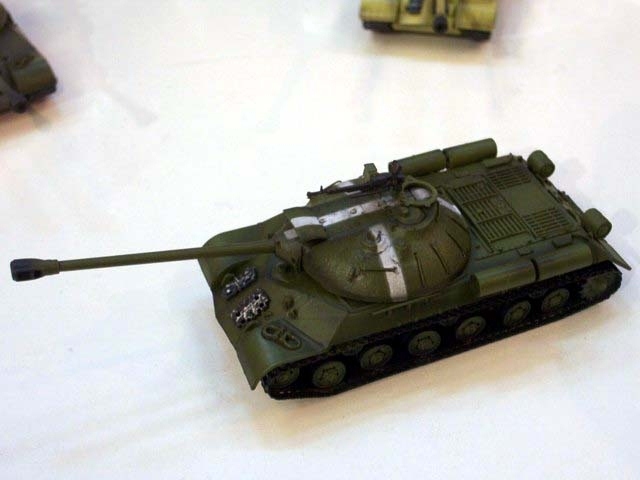 Nevertheless I hope you will be satisfied with my report. 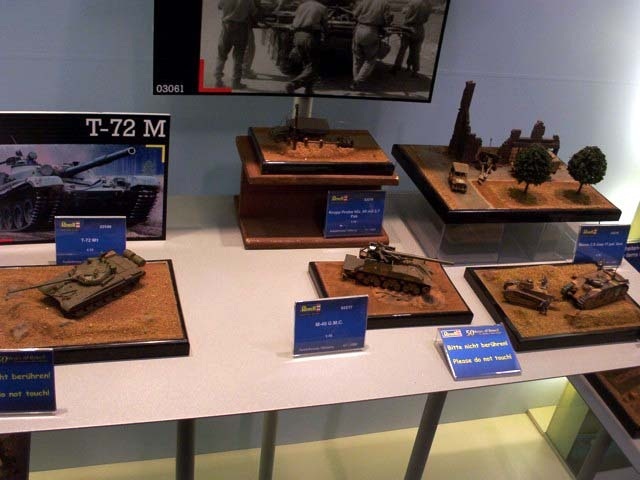 Nothing new shown, no Halftracks or M26 Dragon Wagon mentioned in news leaflet. 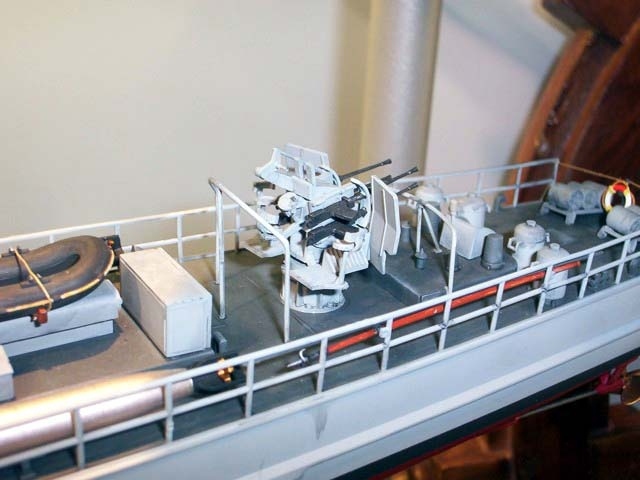 We can be sure that producer will bring more U-Boat detailing sets and when new Revell US GATO class submarine is released we can expect detailing sets for this kit too. 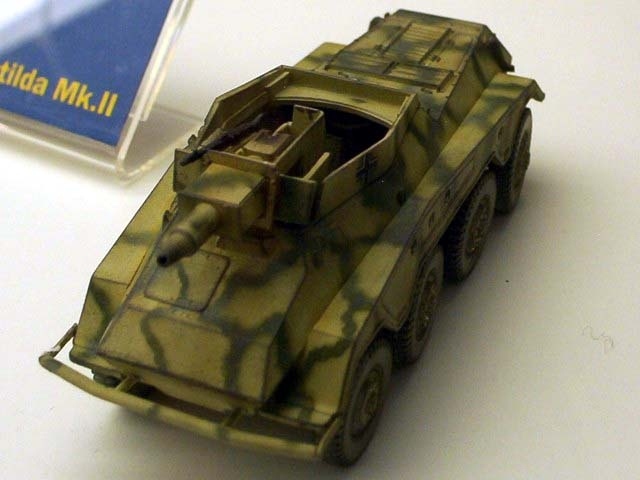 New resin kit of Fiat 626 "Owen". 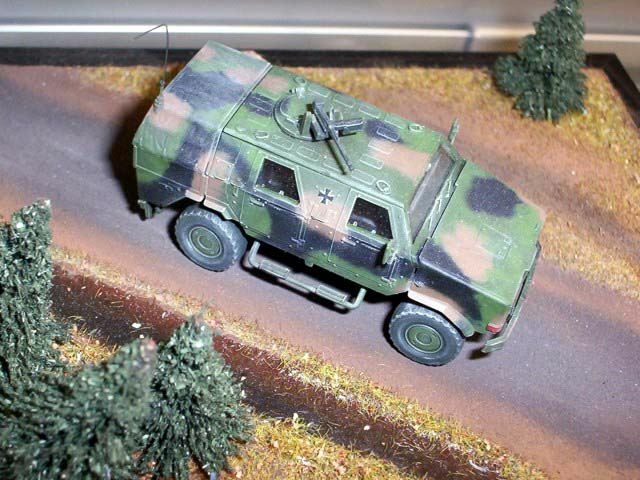 The ambulance variant will follow. 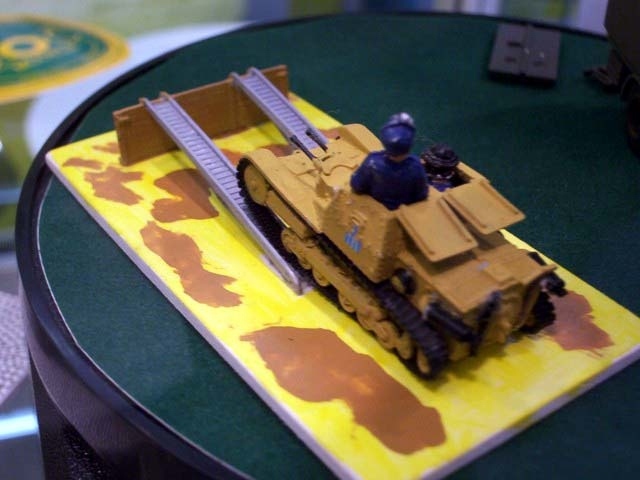 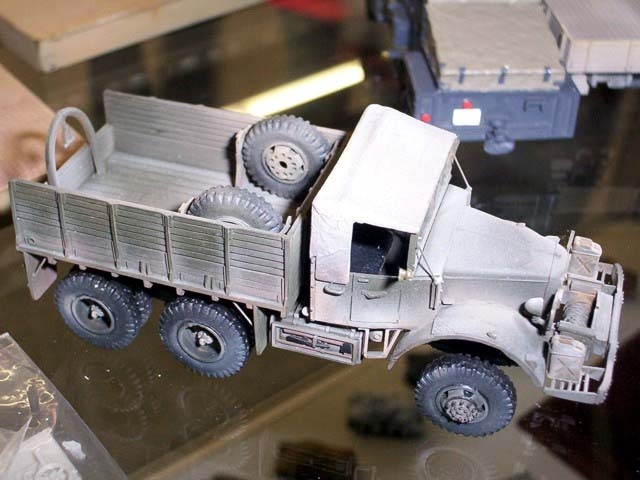 Also new figures and truck load ramps fro CV33-35 kits. 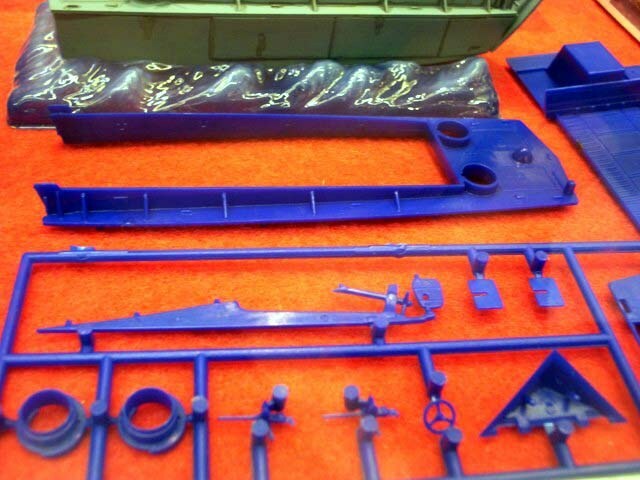 And other who plastic kits are in progress. 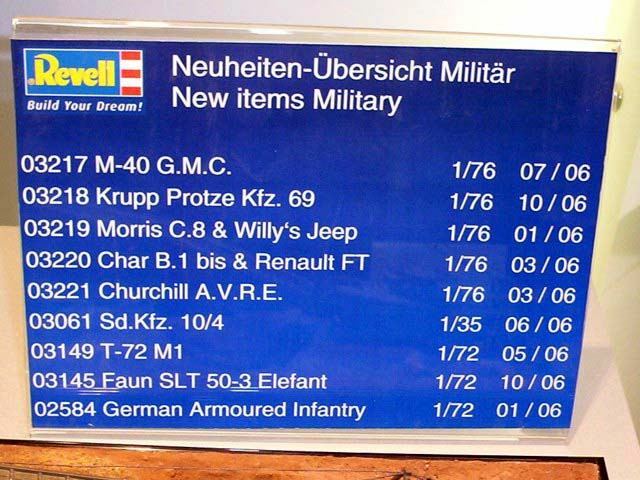 The list of new in the catalogue but nothing special show on the stand. 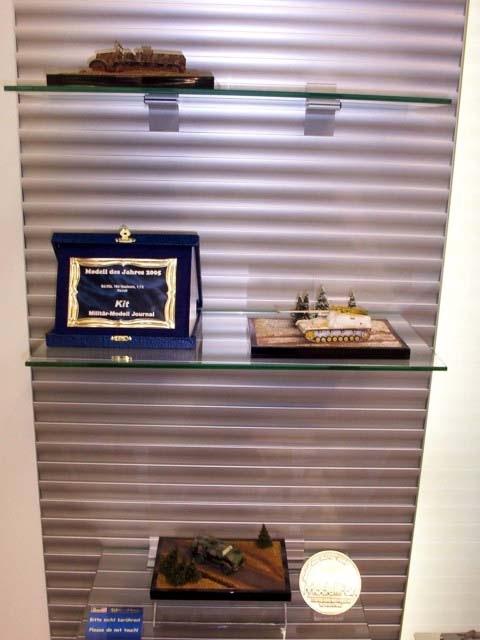 Just some of latest releases. 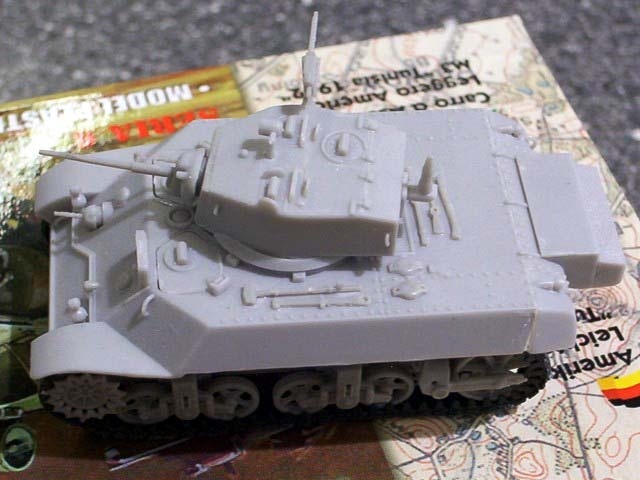 I suppose we will only receive etched sets for AFV kit this year. 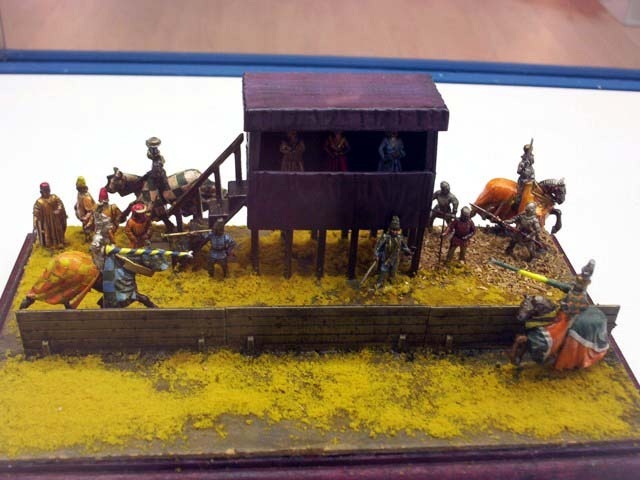 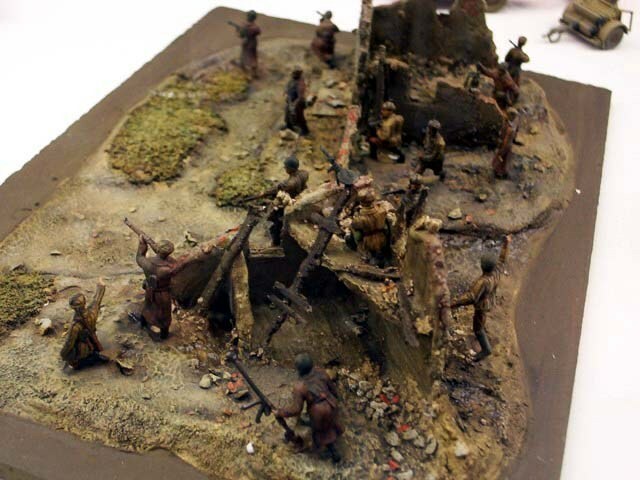 The producer prepares figures from Crimean, French-Prussian and Napoleonic wars, one set of mounted knights and also Viking ship and it's crew. 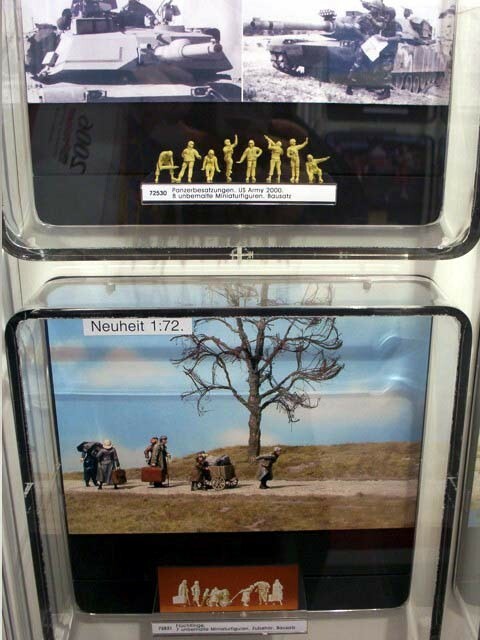 No news on stand but I suppose we will get usual range of etchings within year. 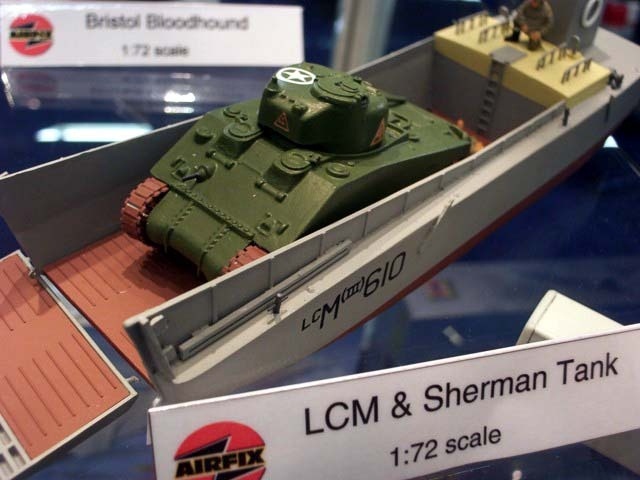 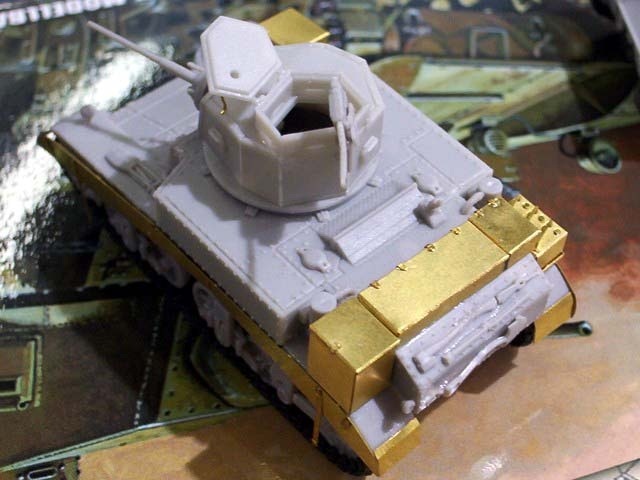 We can also expect resin kits of M29 Weasel and M296C Crab soon. 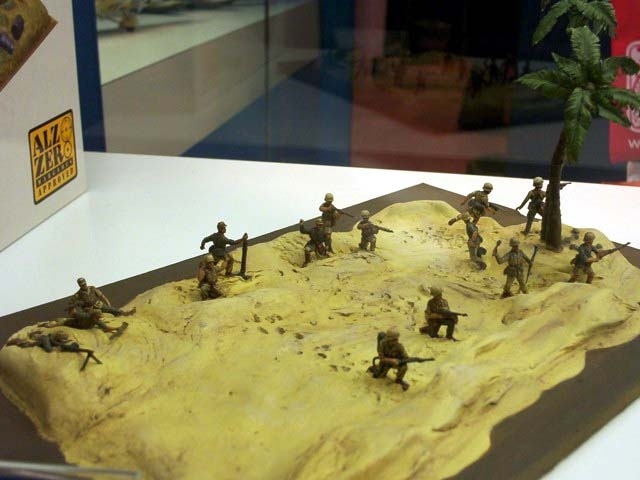 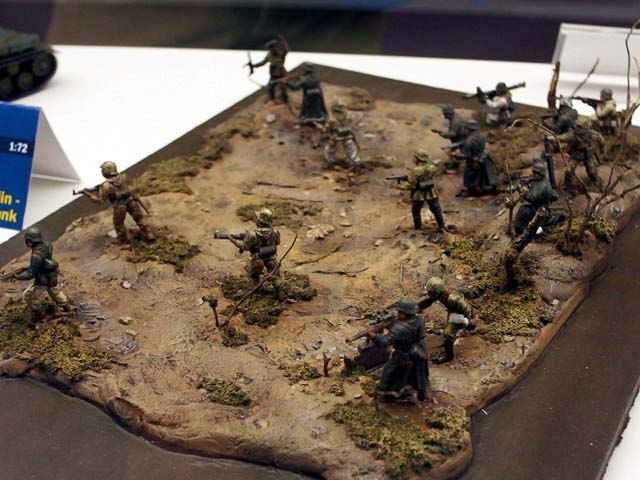 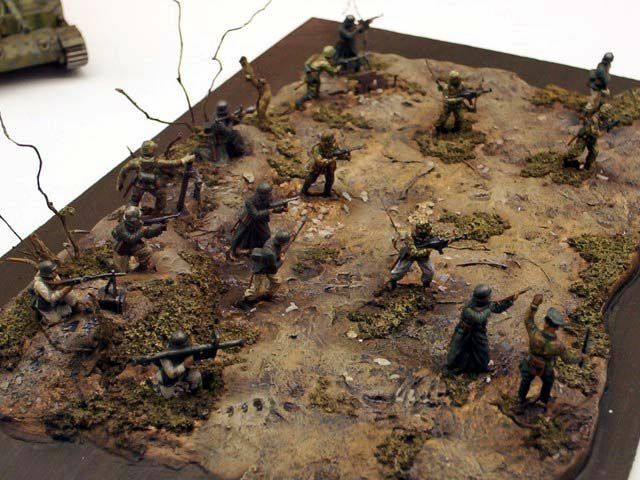 We can expect two new WW2 figure sets and also some form Napoleonic period and US history. 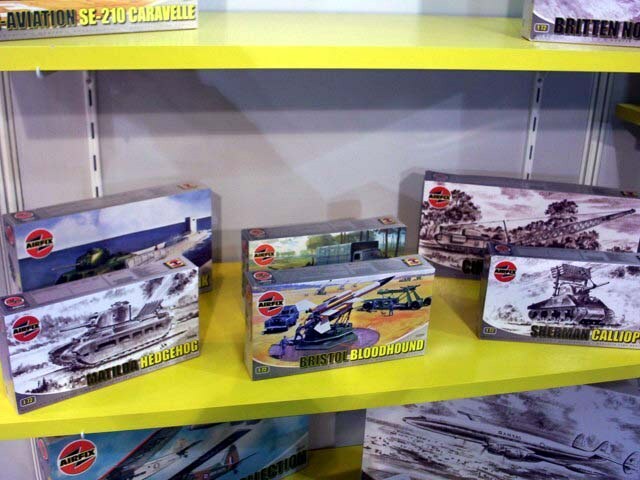 Here you can see new Sd.Kfy.234/3, two fast assembly kits and nice tournament figures and two WW2 figure sets. 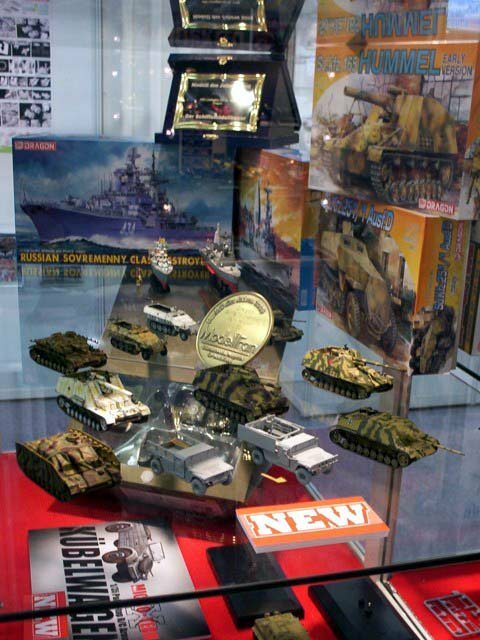 This year we can again expect several ex-ESCI releases in kits as well as figure range. 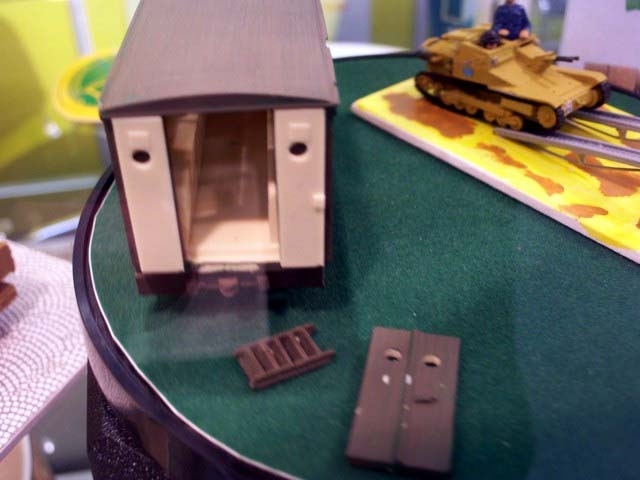 It's strange but I can't see LVT-(A)1 in 2006 catalogue. 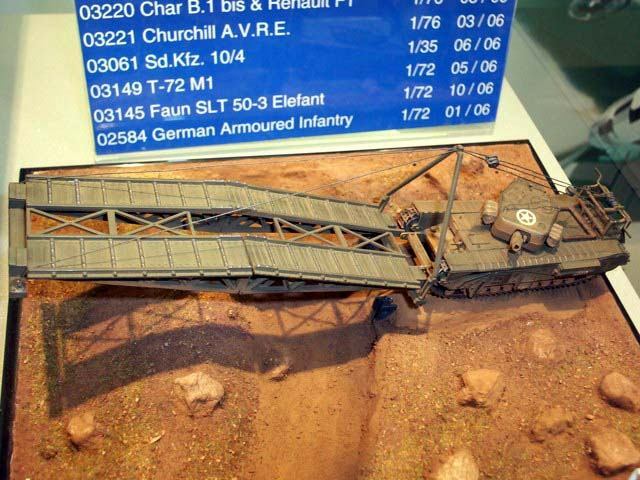 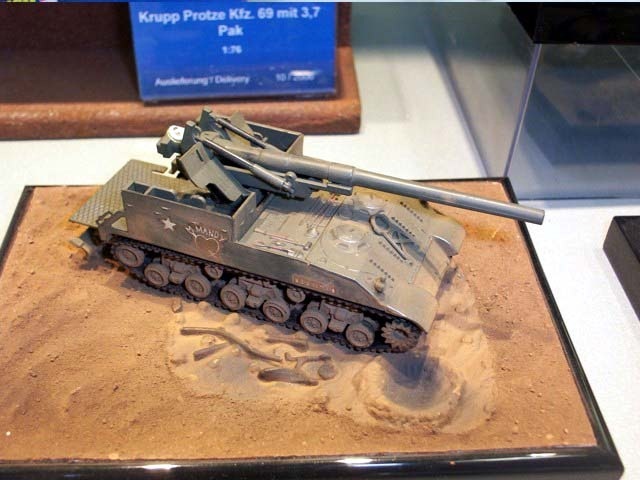 The 2006 catalogue shows to news - Krupp L2H143 Kfz.70 and R-142 "Troposphere"
No news shown just 3 figure sets mentioned in the catalogue. 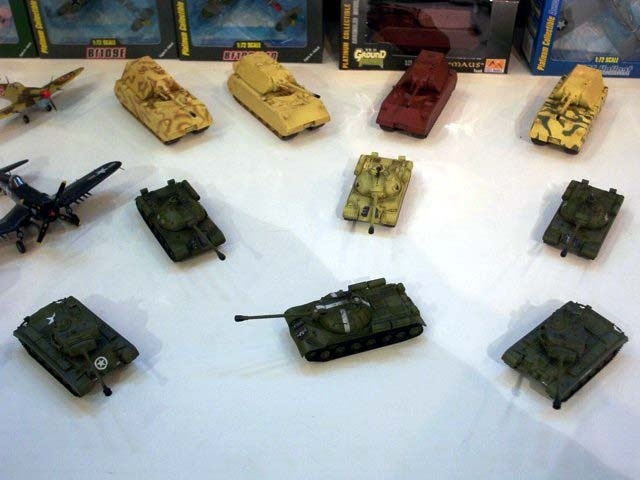 All of them should be released within spring. 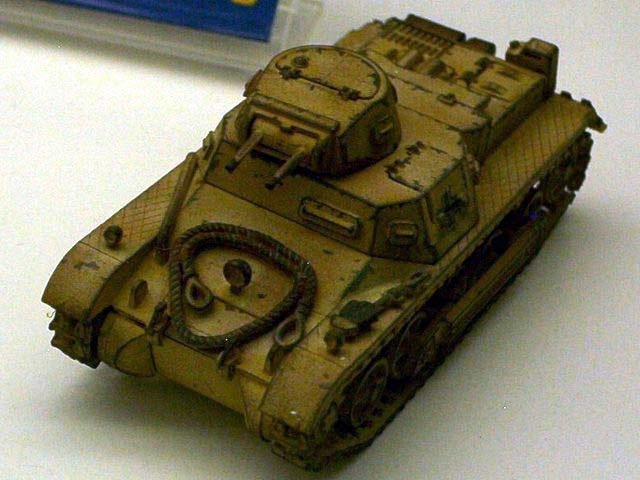 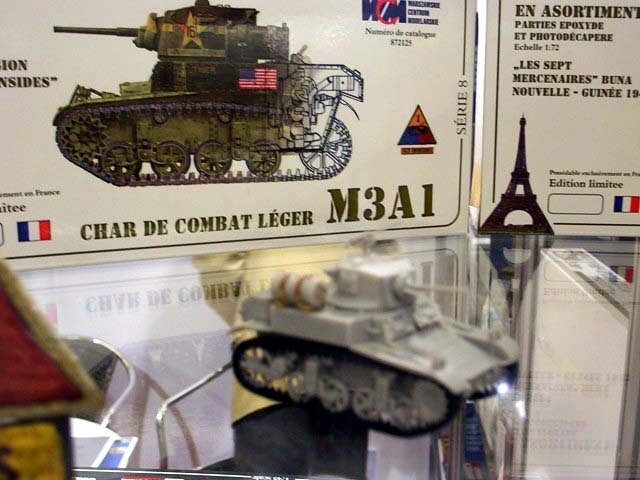 This year we should get the Stuart family (from M3 to M3A3). 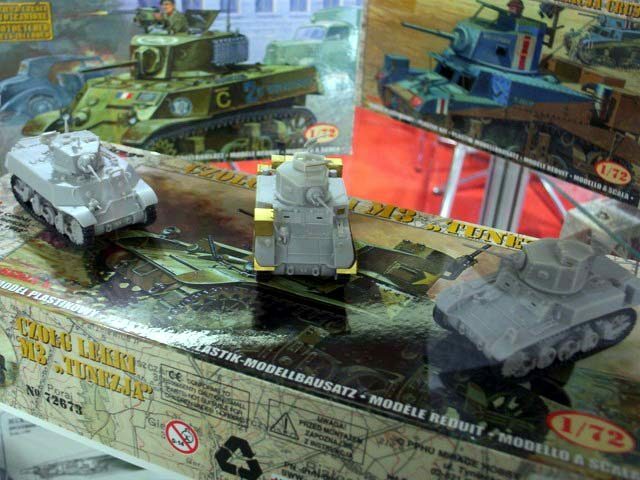 Some of variants will be released under WCM brand. 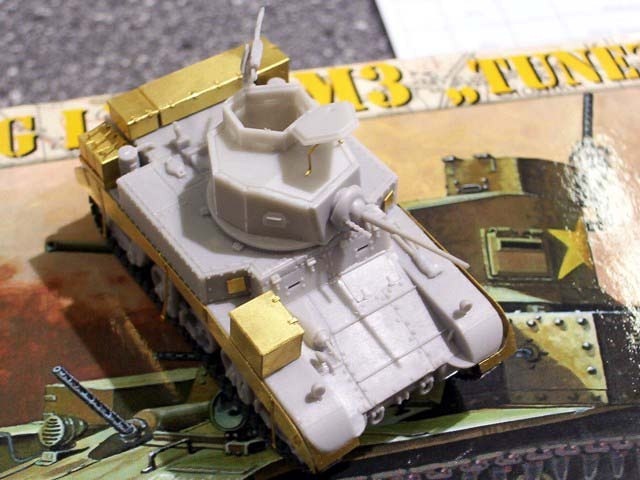 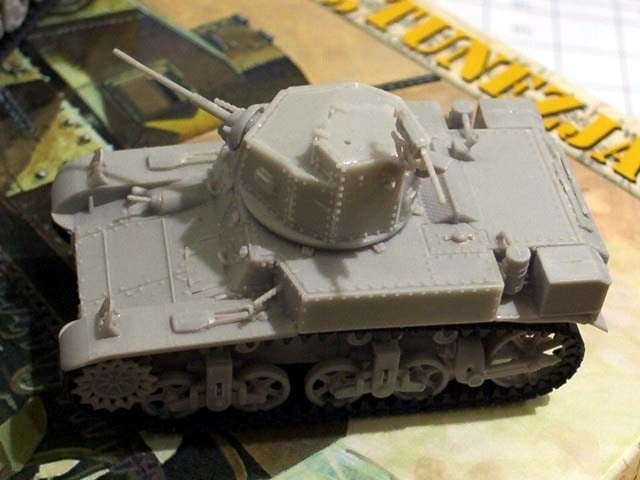 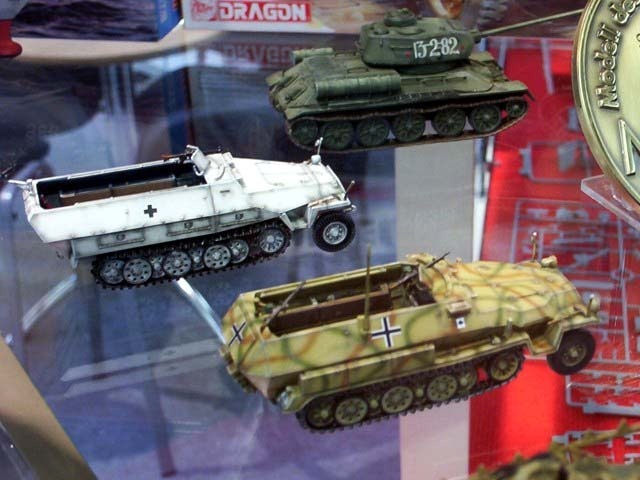 Except mentioned news shown on stand Mirage catalogue includes new Pz.IV Ausf.B which should be available already. 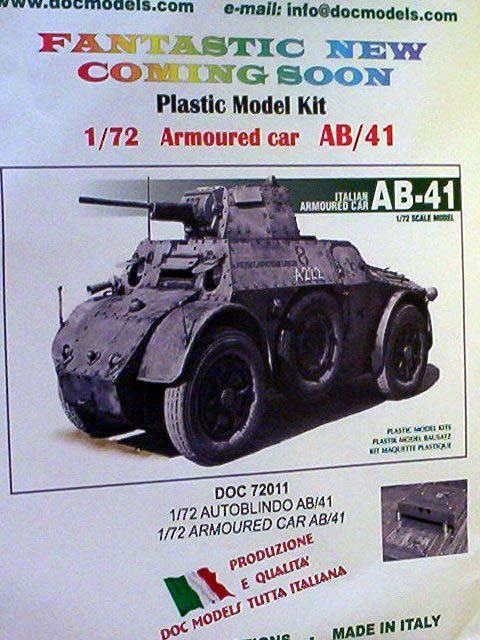 Plus M31 ARV, M2 Halftrack, M5 Stuart, M8 Scott and Sd.Kfz.250 early all marked as SOON. 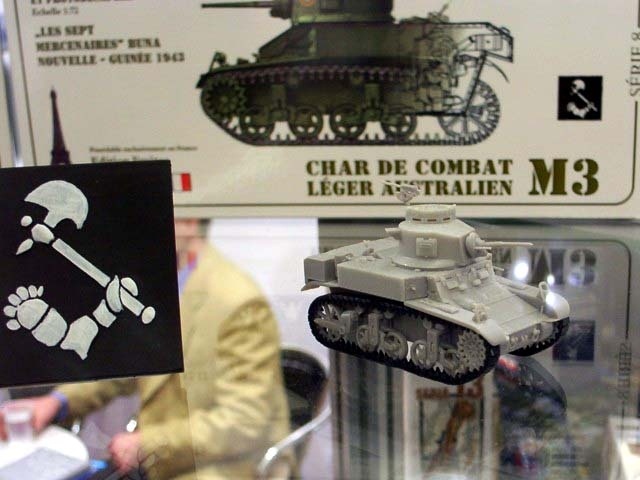 On the other hand I miss series of Renault Ft17 announced last year. 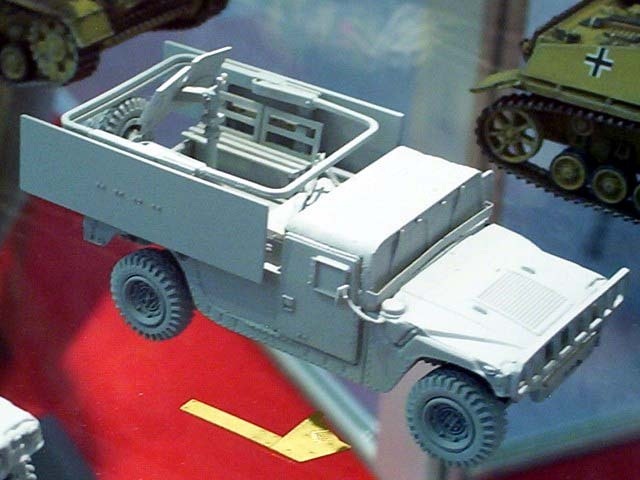 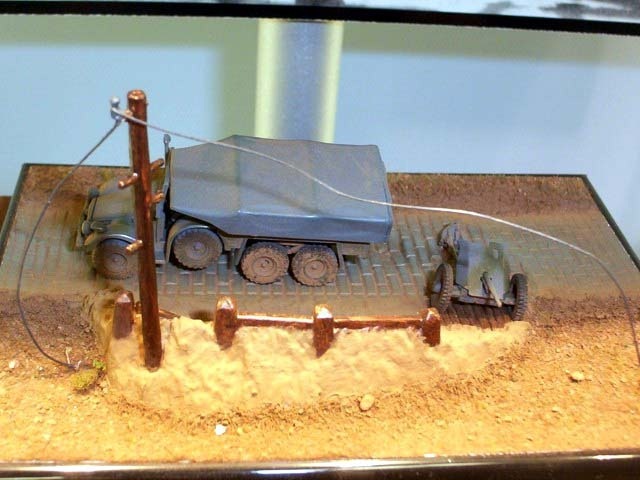 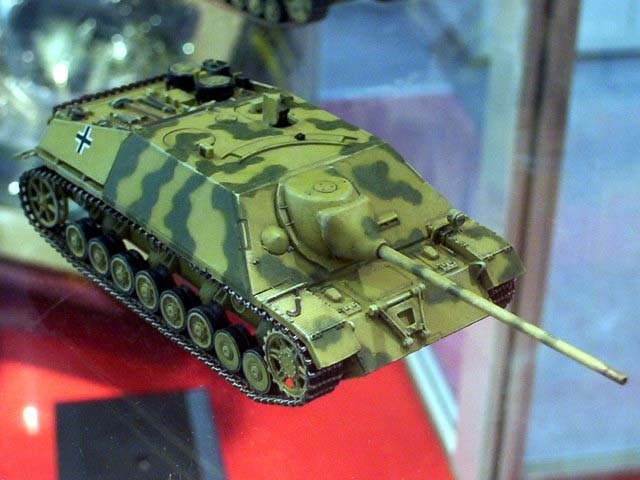 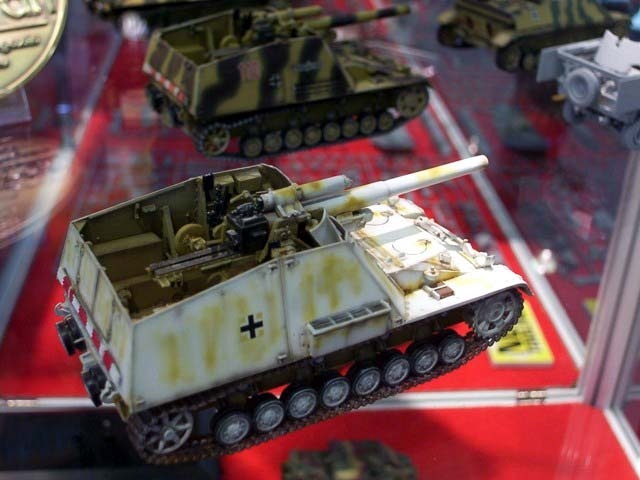 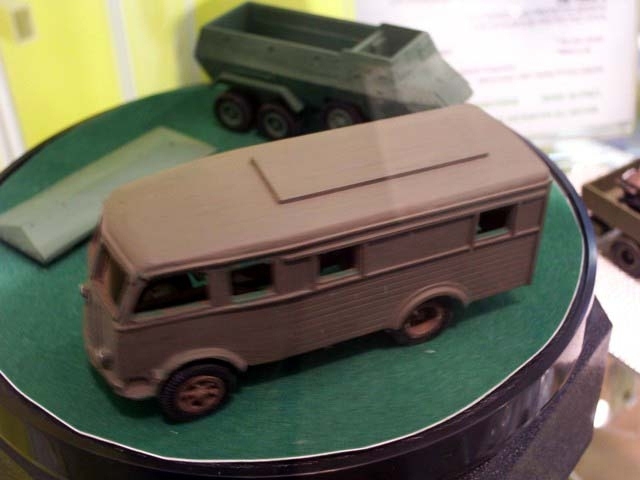 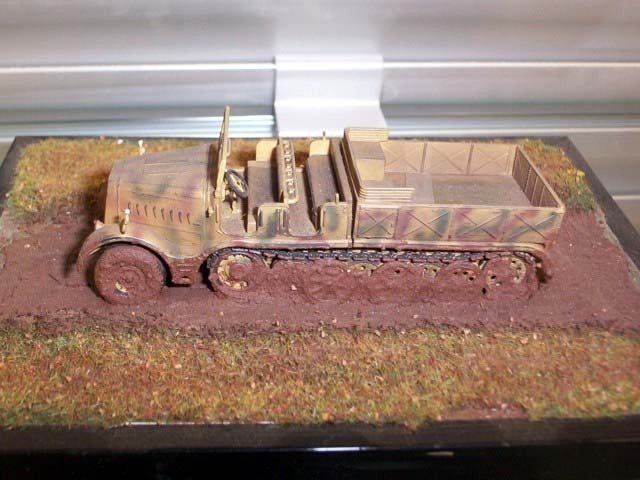 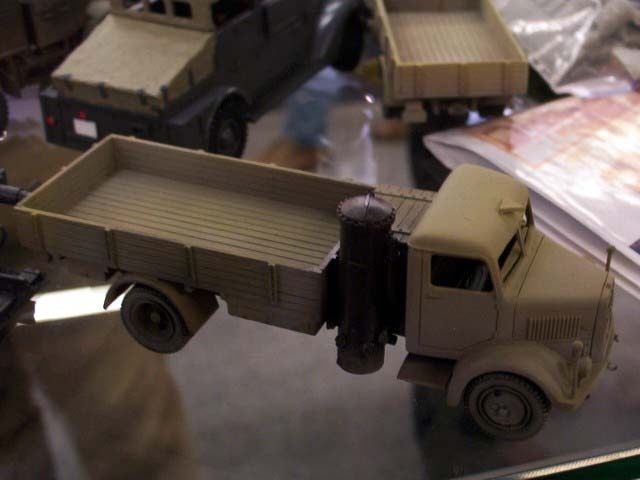 The first plastic kit (Sd.kfz.11) from Special Armour line should appear on market in late spring. 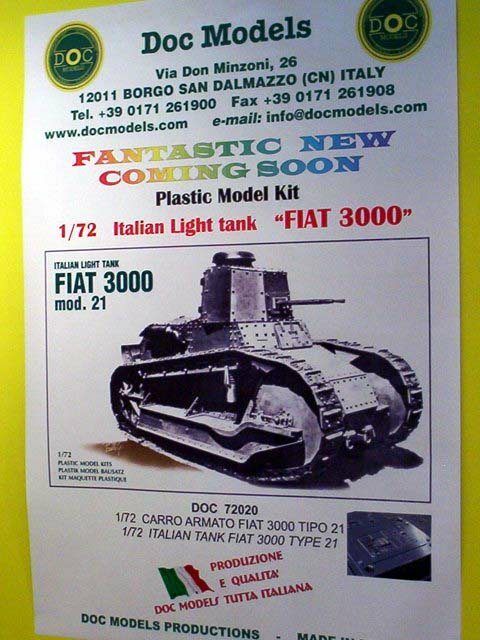 Than should follow kits of A4/V2 project. 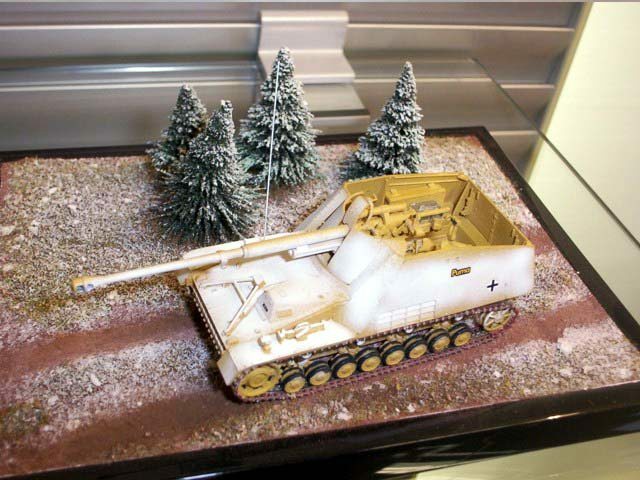 Here you can see new simple kit of LCVP with crew and another German project set Schwerer Kleiner Panzer. 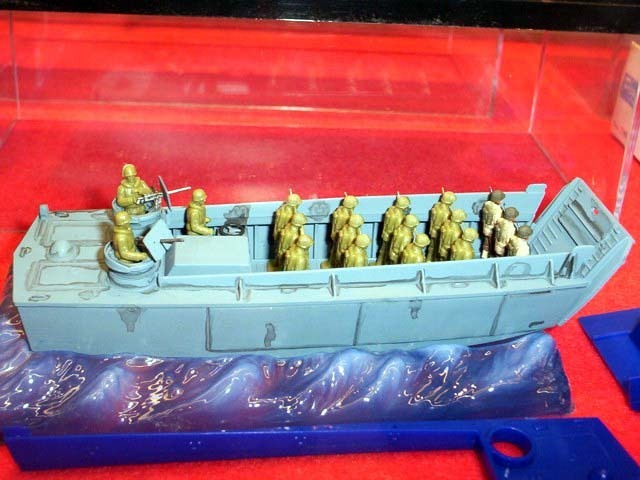 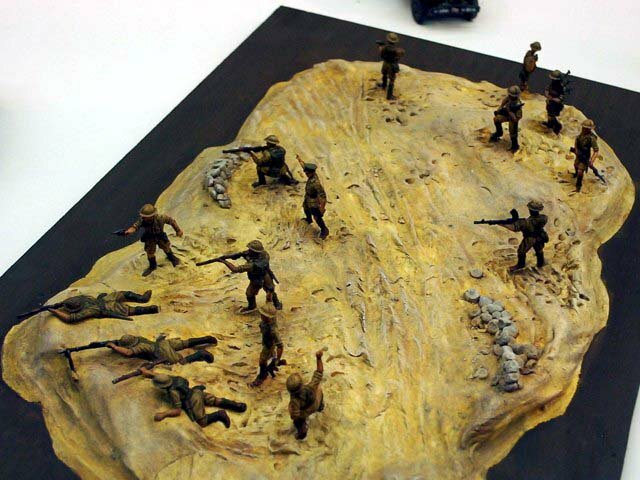 Two new figure sets - D-Day Rangers and USMC from Vietnam are on the way to Europe already. 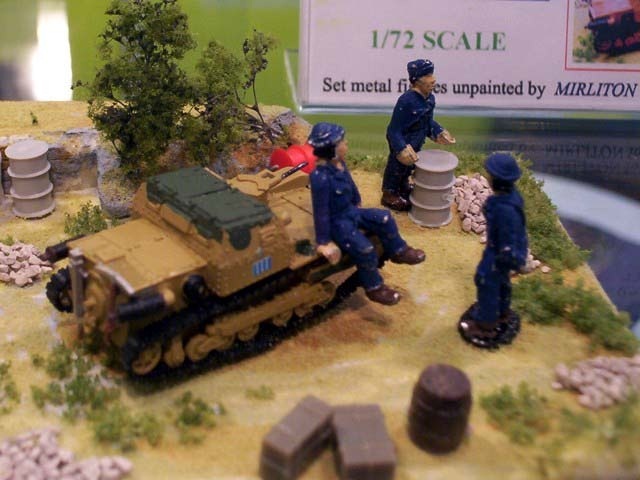 More figure sets should follow. 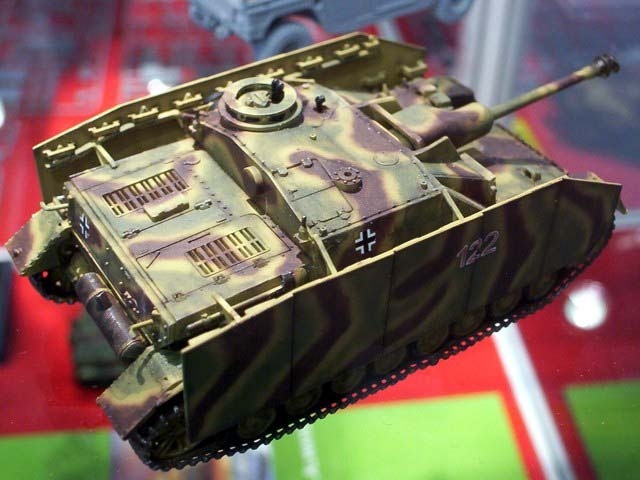 See www.panzer46.com for info about Pegasus future releases. 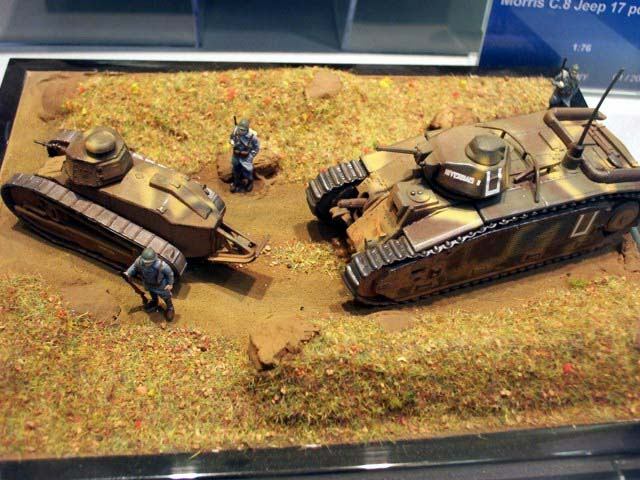 Just two news introduced for this year. 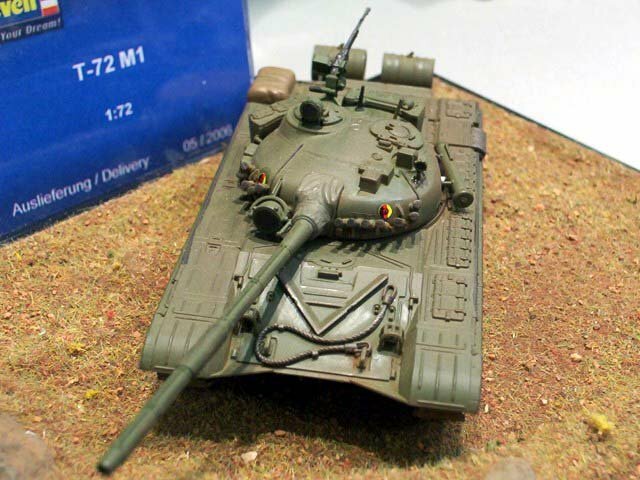 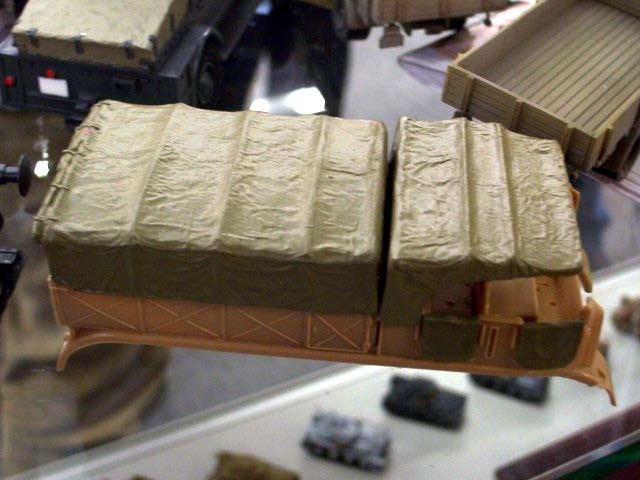 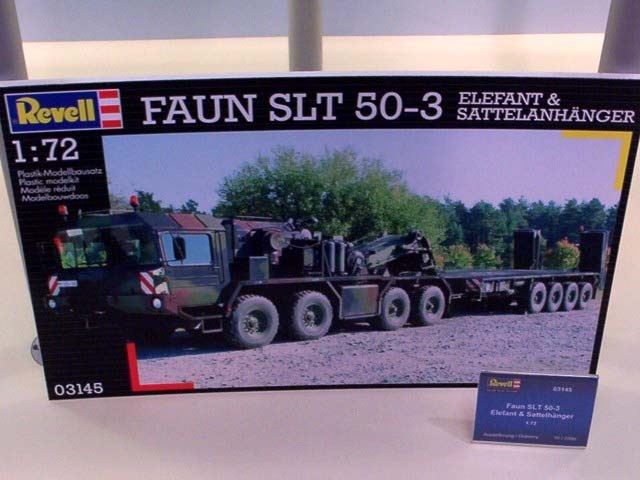 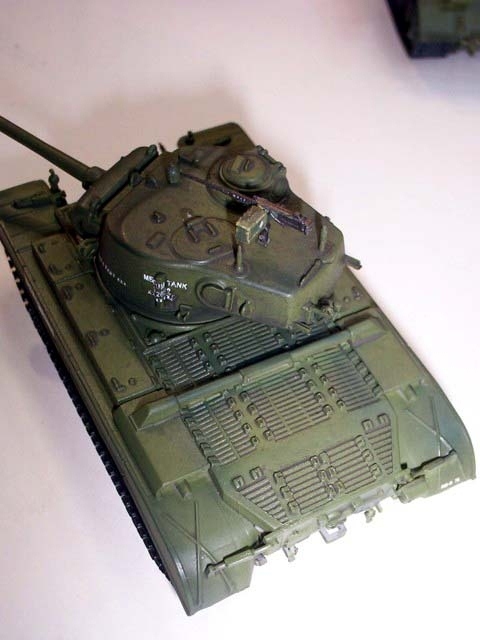 Revell shows only new T-72M1 and box art of Faun tank transporter. 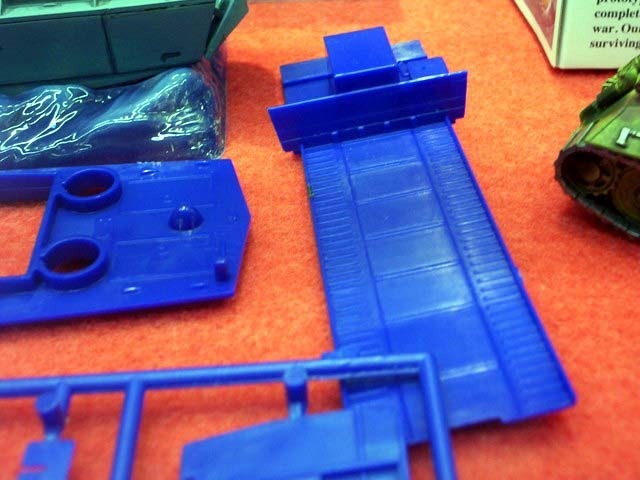 Plus all of ex Matchbox sets prepared for this year. 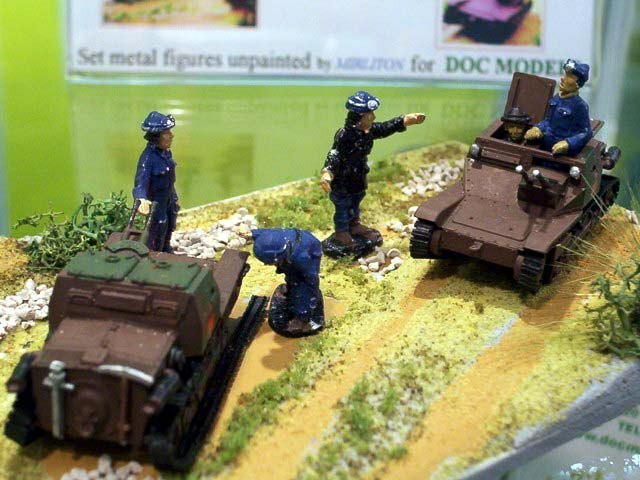 Some of 2005 kits could be seen too. 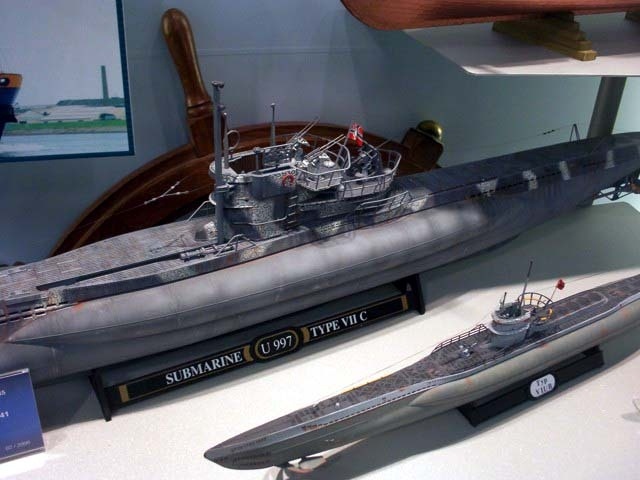 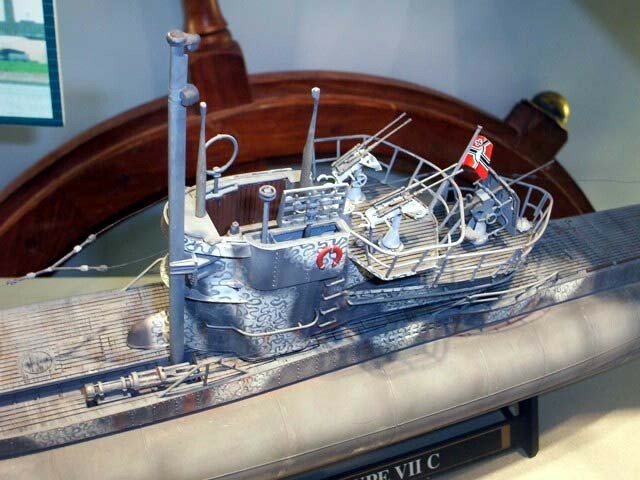 Very nice are two new versions of U-boat and S-100. 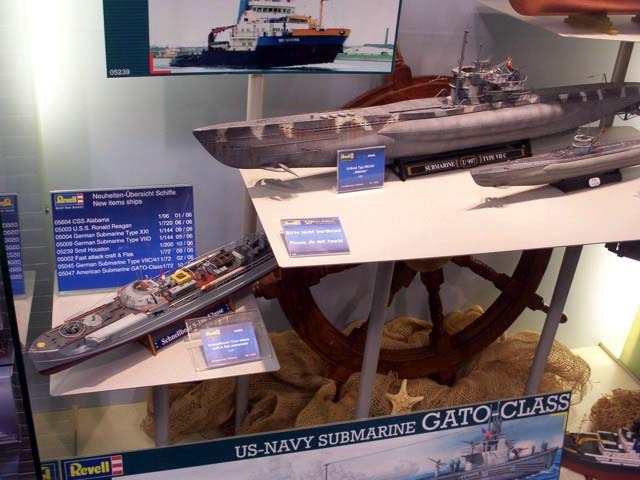 We can expect also new US GATO class submarine which boxart was shown. 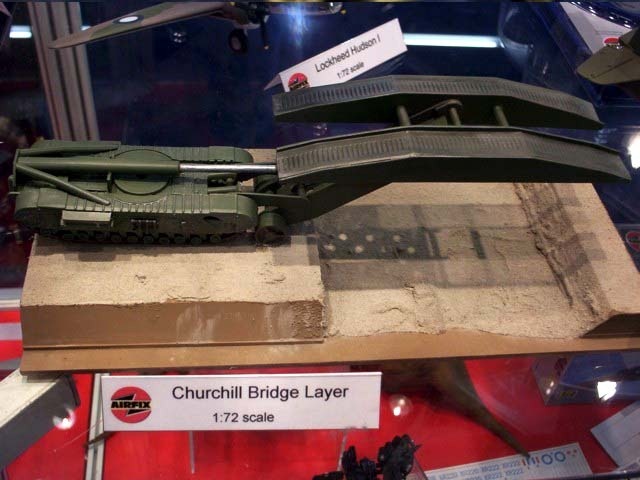 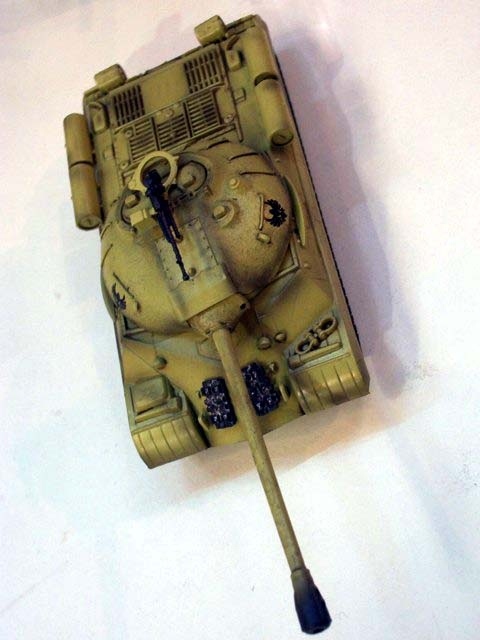 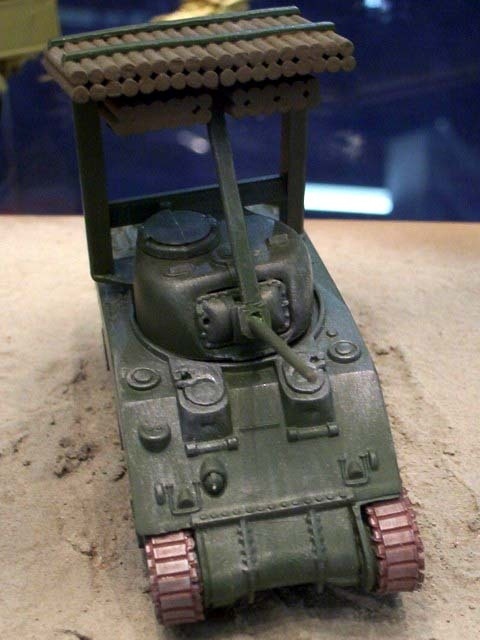 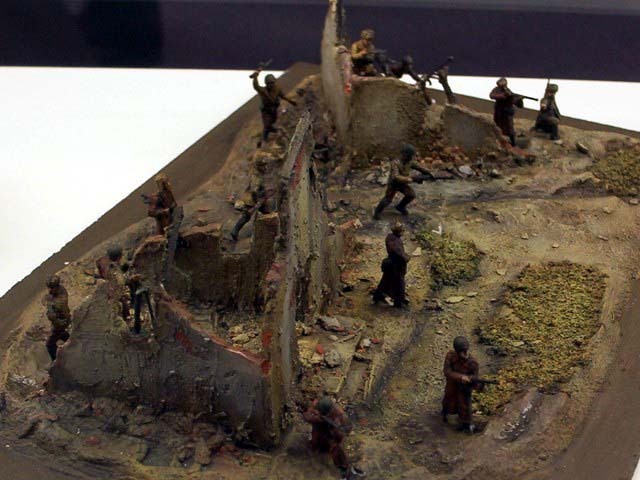 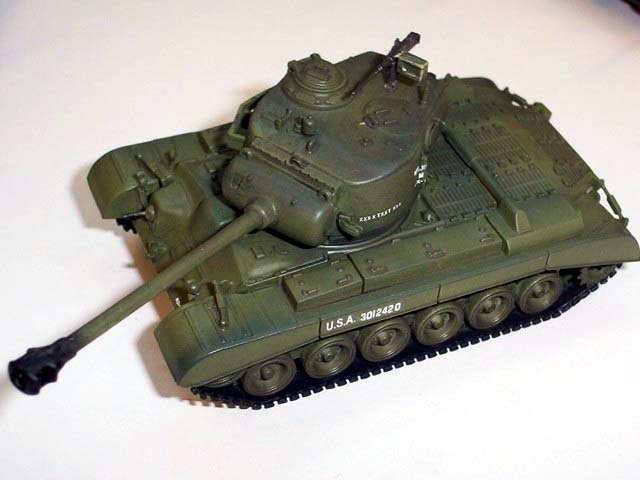 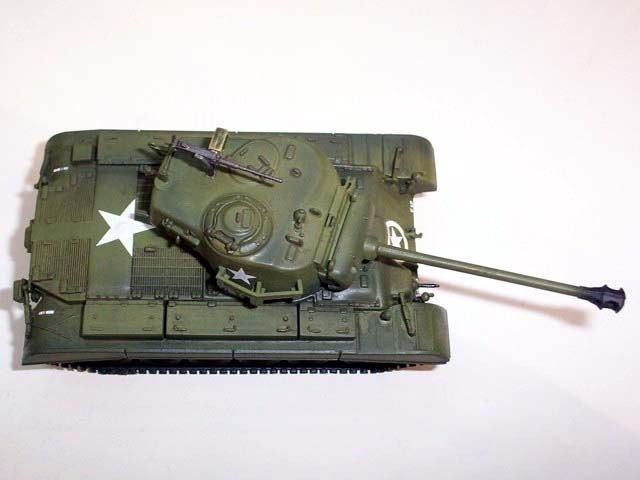 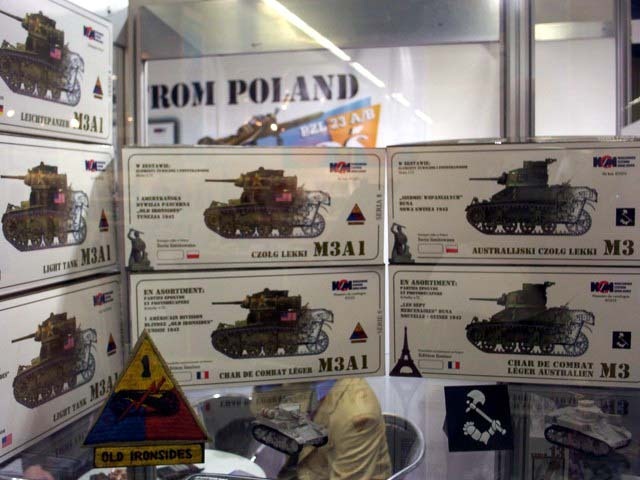 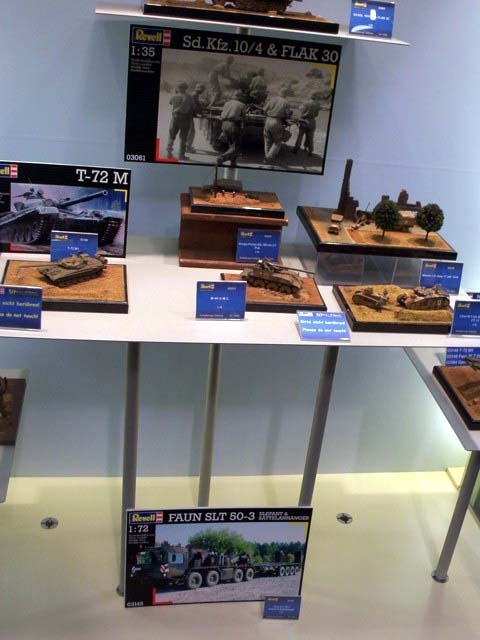 The stand shown only built models of Ground Armor series with IS-2m IS-3M and M26 included.. 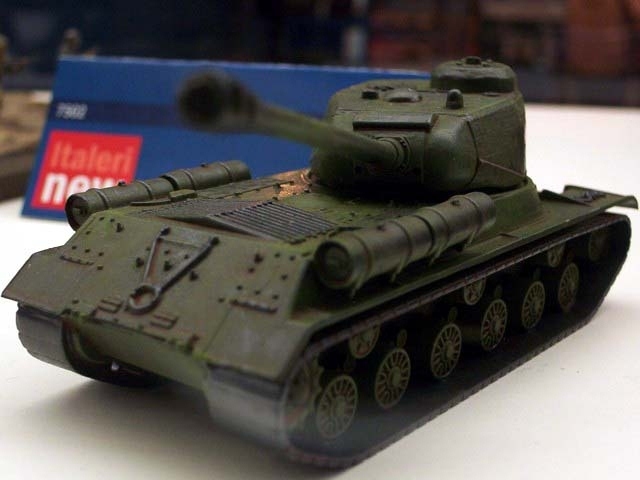 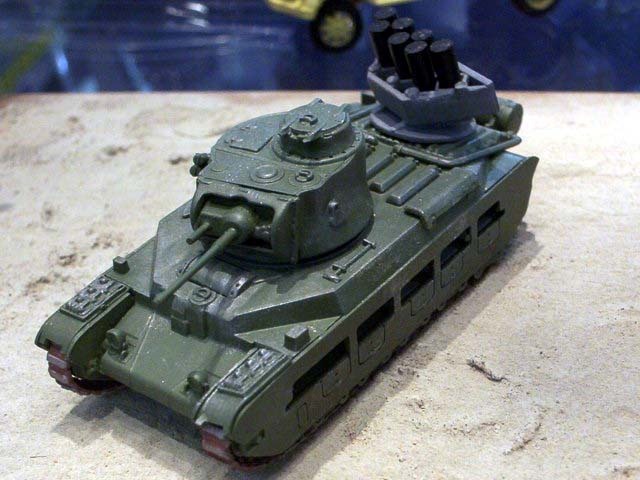 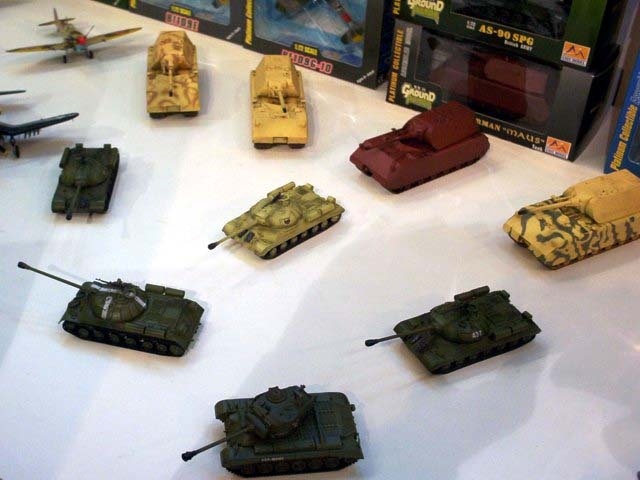 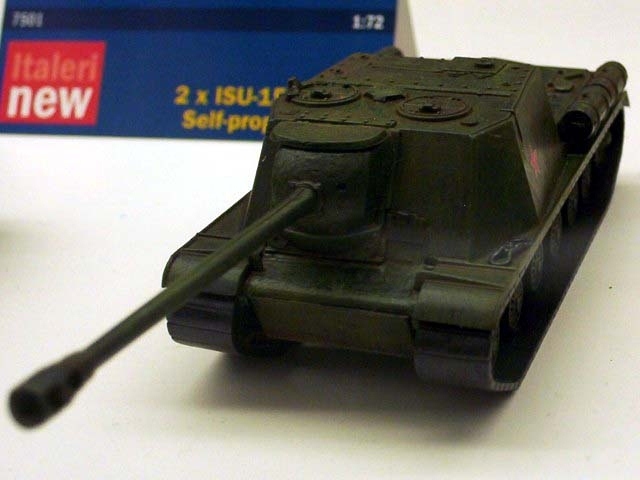 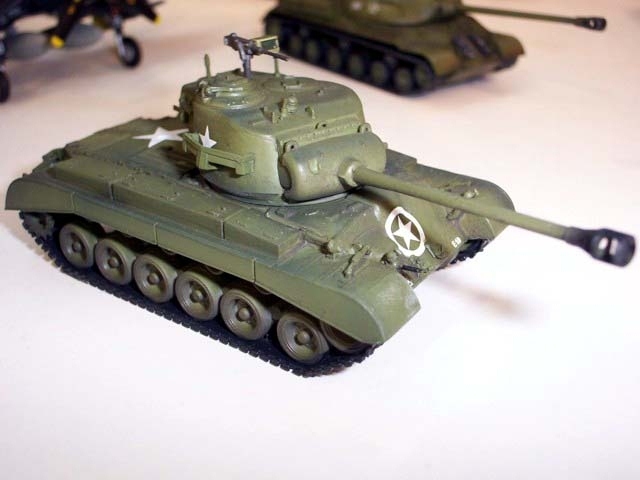 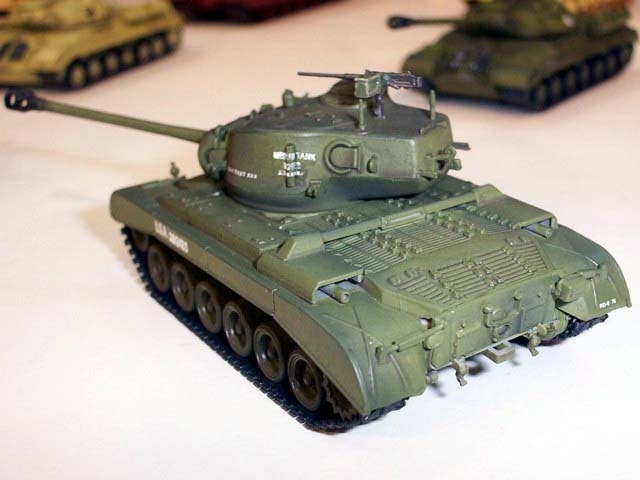 The IS-3 tanks are included in huge list of classic kits 2006 news but the M-26 is missing in the catalogue. 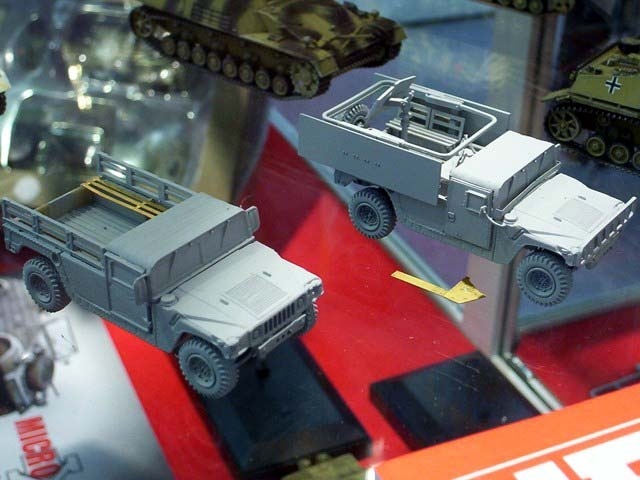 Here you can see new Mack truck and two variants of MAN truck. 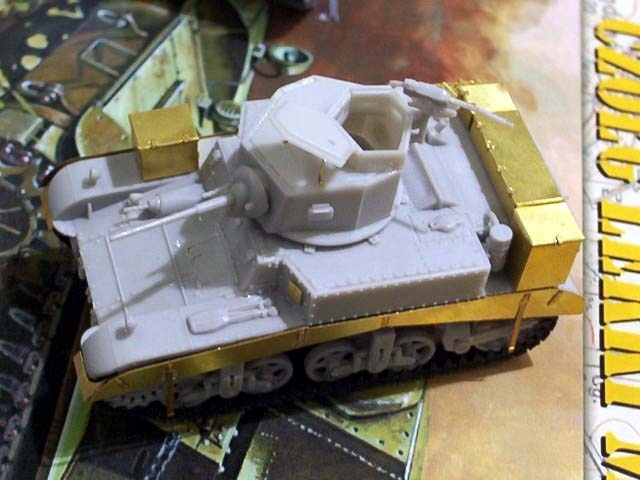 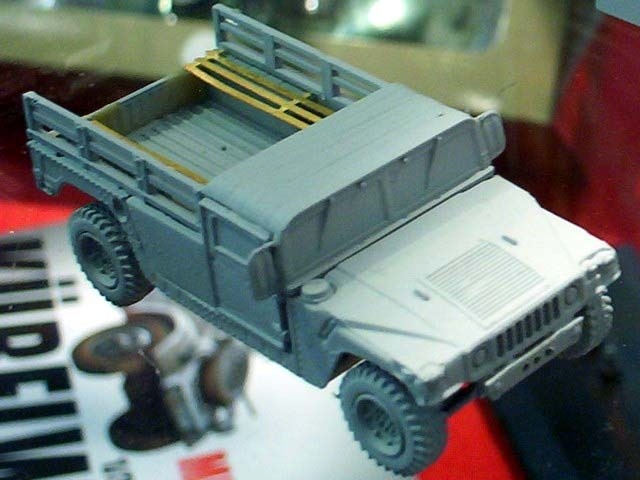 We will get also canvas roof for Trumpeter Famo and several accessories sets. 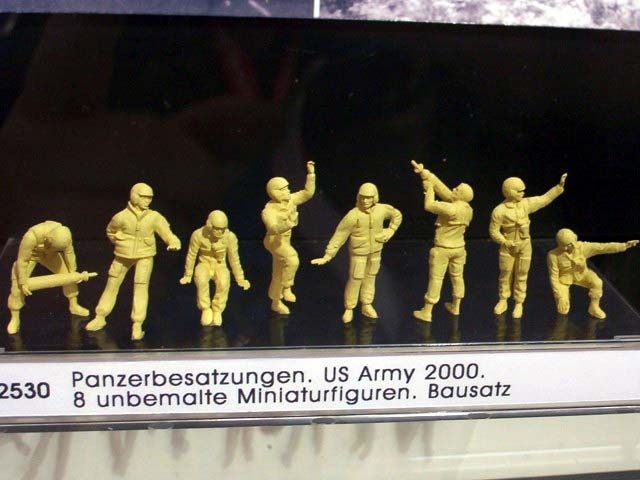 The stand crew had no time for me so I can't tell you much just that I have seen some (3) boxes on new figure sets . 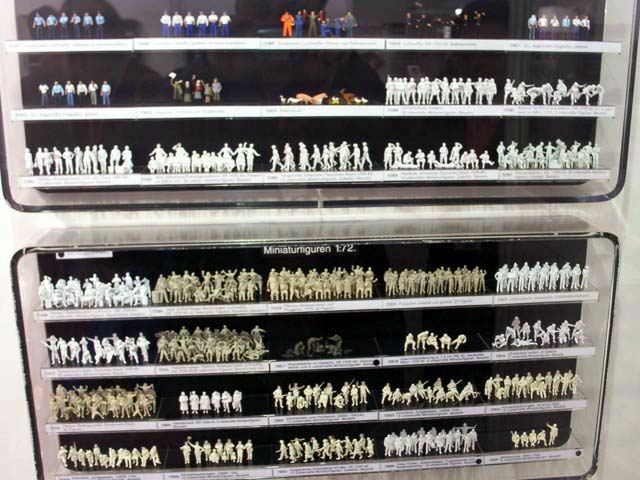 And this is all. 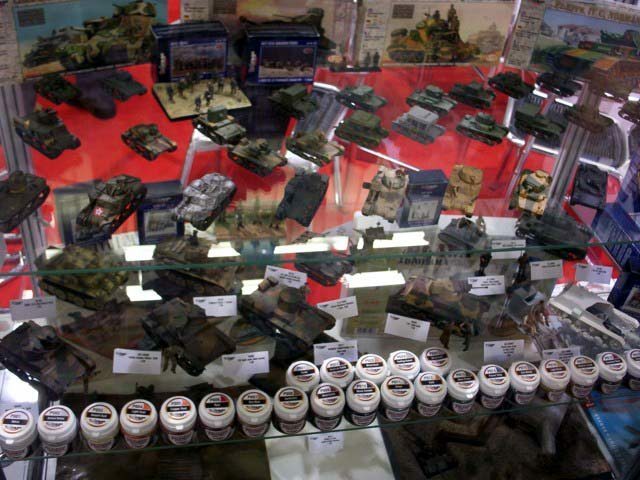 In case you have some questions than please post them in our forum where I have opened special theme.